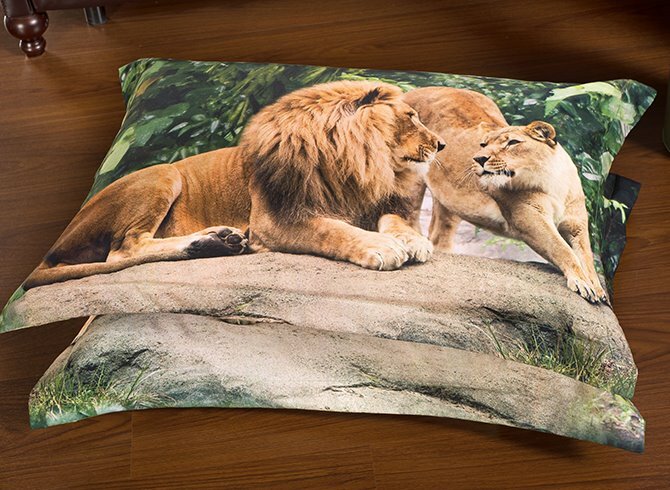 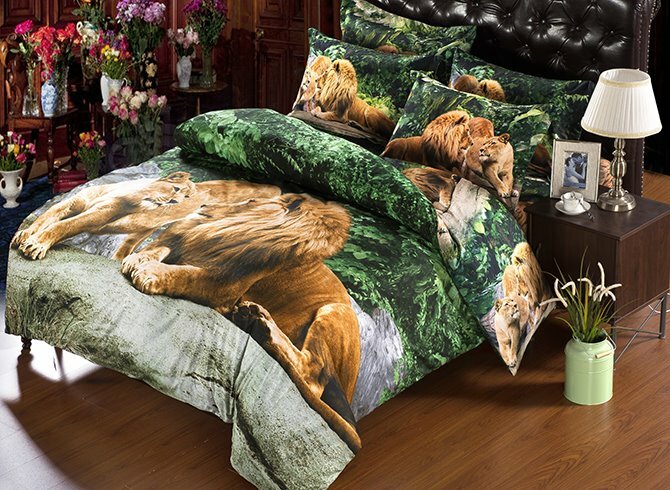 Add a royal touch to your bedroom with this 3D lion printed comforter set. 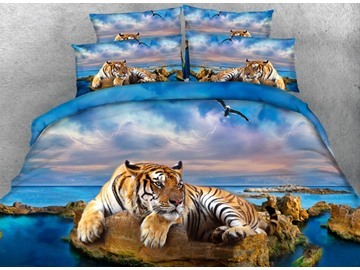 This safari inspired bedding set captures the serene brilliance of the wild, bringing into your bedroom a wonderful masterpiece of beauty. 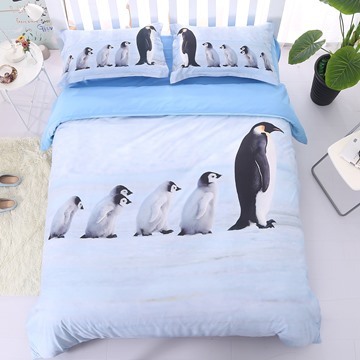 It is a must-buy for animal lovers! 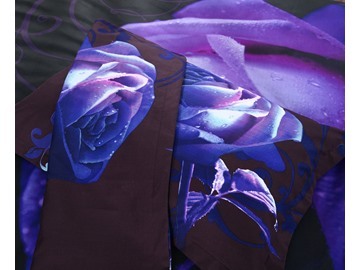 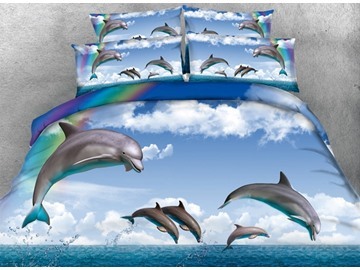 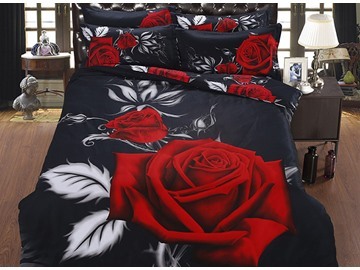 The bedding set is made of polyester which guarantees year round use. 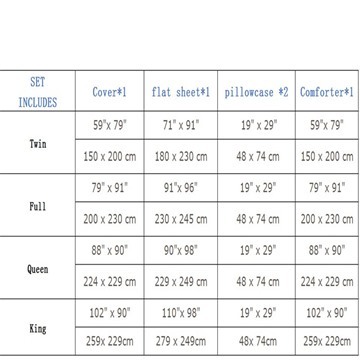 Therefore don't hesitate to make the purchase.